Financial support is the lifeblood of Future Leadership Foundation missions. Your contributions make the difference. Coaches (Trainers) are responsible for funding all their costs, including travel, lodging and meals. FLF, through the faithful contributions of its financial supporters, pays a portion of the project expenses as well as the infrastructure that allows this ministry to operate daily. The global partner commits to provide a part of the training event. The FLF motto here is, Equal sacrifice, not necessarily equal funding. Send a check payable to Future Leadership Foundation, P.O. Box 1891, Columbia, Mo, 65205. If your gift exceeds $250, FLF will send you a tax substantiation letter, your proof of a tax-deductible gift. Go online and make a one-time donation as a guest or set up an account. You can also set up a recurring donation from your bank account or by using your credit card. Use your credit card to make a safe and secure transaction. Support us with an estate gift in the future. Contribute to our endowment fund. The proceeds from these contributions help us build the ministry for the future. If you shop online, use goodsearch.com. A portion of your purchase will be contributed to the Future Leadership Foundation. 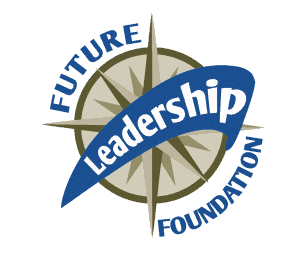 Select Future Leadership Foundation (not FLF) as the cause of your choice. Then, whenever you shop, simply enter through the Goodshop portal to shop at any of the 5,000+ retail sites participating in the program. When you enter a site through the portal, you will see thousands of coupons for items, flight and hotel packages, clothes and tons more. No matter what you buy through the portal, Goodshop will donate funds based on your purchases! Use Amazon Smile when you shop at Amazon. Select “Future Leadership Foundation” as your charity of choice and we will receive a portion from each and every purchase you make while in Amazon Smile! We can assist you in making any of these possibilities a reality. The Future Leadership Foundation is a 501.c.3 non-profit corporation. All contributions received from residents of the United States are tax-deductible to the extent permitted by law. The volunteer CFO is an experienced comptroller of non-profits, large and small. The treasurer is a retired senior vice-president of a bank, member of a Foundation board, and former deputy state treasurer for the State of Missouri. FLF voluntary agrees to non-profit guidelines put forth by the independent party Guidestar. 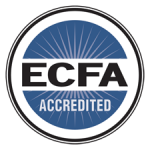 In 2013 FLF was accepted as a member of the Evangelical Council for Financial Accountability, www.ecfa.org. This ministry now has approximately 1,200 organizations with a combined income of $14 billion. All systems are in place to provide the financial and ethical integrity essential for a 21st-century ministry.